The theremin is an electronic musical instrument which, one hundred years since it was first introduced, continues to evoke a sense of awe. It is played without physical contact, only via the movement of the performer’s arms, hands and fingers. In this year’s Prague Spring programme it will figure in two concerts, each time in a slightly different guise. 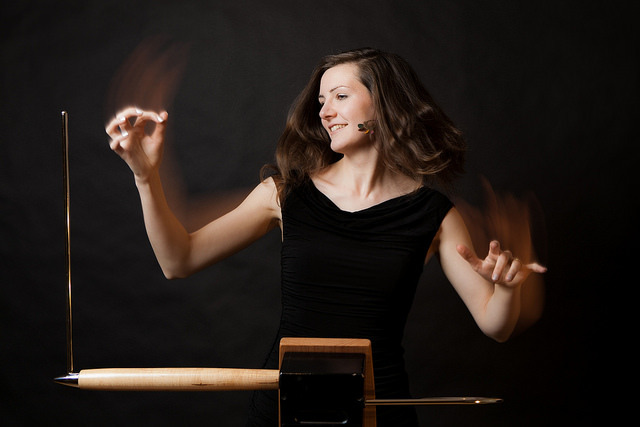 This evening the theremin will feature in the classical music genre – in Bohuslav Martinů’s famous Fantasia and in the world premiere of a work by young Czech composer Jakub Rataj. The following day, in the informal setting of the Royal, the theremin will be spotlighted in music that crosses various genres.